Russian Presidential Administration will oppose the motion suggesting to introduce a universal copyright fee levied on all internet users, a Russian business daily reports. 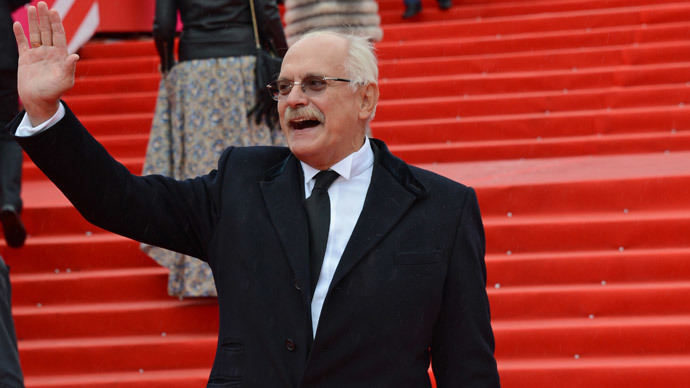 The initiative originated in the Russian Union of Copyright Holders – a nationwide organization headed by film director Nikita Mikhalkov. The union has earlier succeeded in introducing the 1 percent universal fee on digital media – since 2010 Russian businesses that sell blank DVDs and memory cards have to pay to copyright holders because their products could potentially be used to record pirated works. Copyright advocates intended to expand the fees to Internet providers as the web can be used for downloading pirated content, just as blank media can be used for recording it. In return, the union suggested granting the ISPs open licenses that would allow users to download music and films without any limitations. The motion was prepared and submitted to the authorities last year and on Tuesday Vedomosti daily reported that the Presidential Administration had prepared a negative review of the document. The newspaper quoted several unnamed sources as saying that the motion has been rejected by most Russian ministries, including the Ministry for Economic Development and the Ministry of Communications. Officials pointed out that the nation already had a working means for copyright protection in the form of the ‘anti-piracy law’ introduced in summer 2014. The act allows copyright holders to block websites carrying pirated content through government watch dog and before a court warrant. The only state agency that supported the new motion was the Culture Ministry, Vedomosti reported. However, industry experts told the newspaper that the opposition in the presidential administration would most likely kill the new bill. In December last year, Russian citizens launched a petition seeking to prevent the passing of the Internet Tax law, claiming it would force the majority of internet users to pay for content that they never download or use. Also, the idea has been criticized by major ISPs who addressed President Vladimir Putin with an open letter requesting him to block the bill as it violated the constitutional right for private correspondence, and also the norms of the World Intellectual Property Organization.